Steve Giasson. 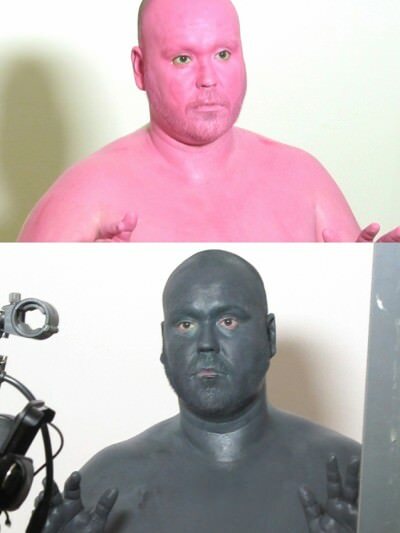 Art Make-Up (extract). HD Video, colors, soundless, 4:38. Exhibition « SKOOL 2013 : Le Centre de pédagogie féministe », Centre des arts actuels Skol. 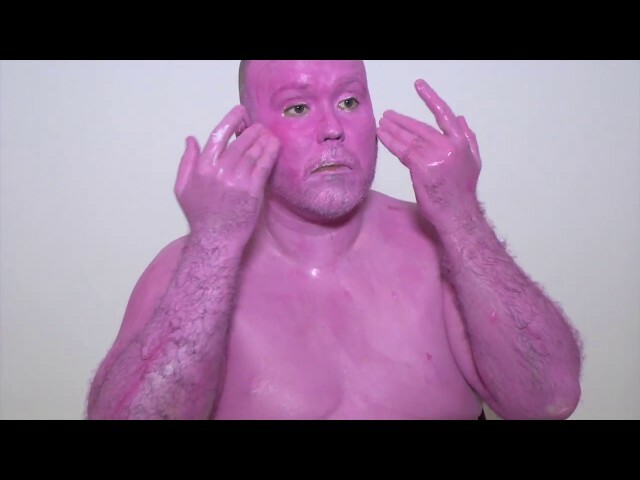 Extract from a performance of about 40 minutes reactivating films of the same name made ​​in 1967 and 1968 by Bruce Nauman, in which the artist applies, one after the other, white, pink, green and black makeup on his chest and his face.